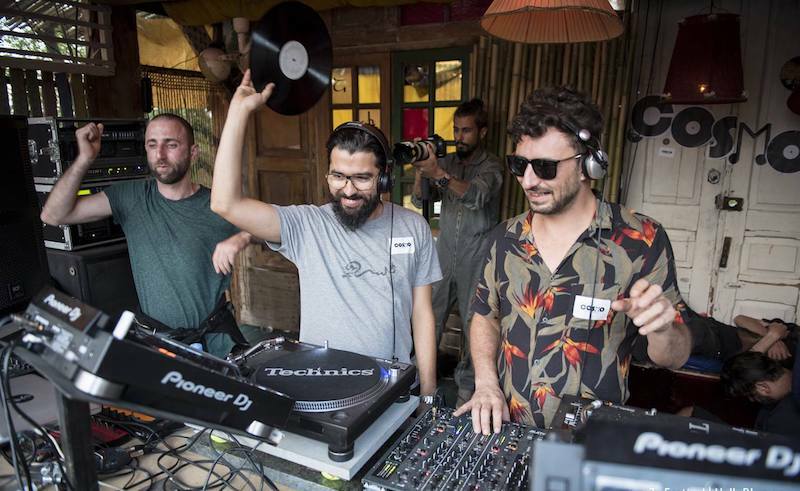 Meet the man who has been inviting the finest DJs to play, record, and explore the soundscapes of Morocco. Every developing/developed electronic music scene in our region today has its heroes, and people within the scene bestow this title on certain figures based on different reasoning. Some consider their scene heroes to be the ones who do the most to give people an outlet for a true clubbing experience and enjoy a sense of community through dance music at any cost. Others believe that the individuals who deserve this title are those who designate their time to building proper musical infrastructure in their country, crafting a frame through which they can harness their country’s creative powers and perhaps even influence outsiders and have them invest in the scene’s sound or identity. Moroccan DJ/producer Adil Hiani and his Cosmo family fall into that second category of heroes. Their achievements don’t exactly add up to smashing mainstream successes or huge sold out festivals, but rather what they strive to obtain are accomplishments of true artistic merit. Adil Hiani was born in Casablanca in 1989 and started out as a hip hop DJ at just 14 after learning the ropes from his cousin DJ Key. After establishing a career in the hip hop direction he developed an interest in electronic music. 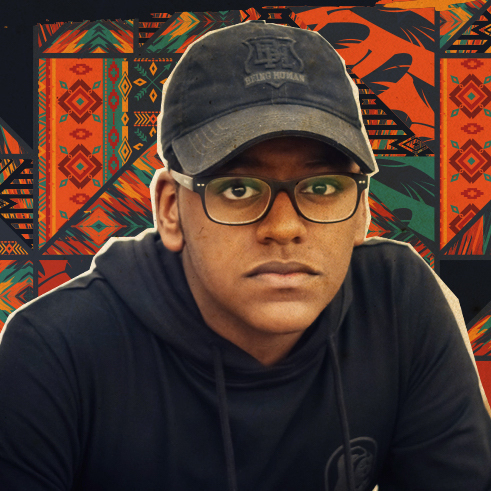 “By the time I was in high school I started organising parties with a friend of mine who was a house music DJ, that’s when I developed an appreciation for it,” Adil recounts. 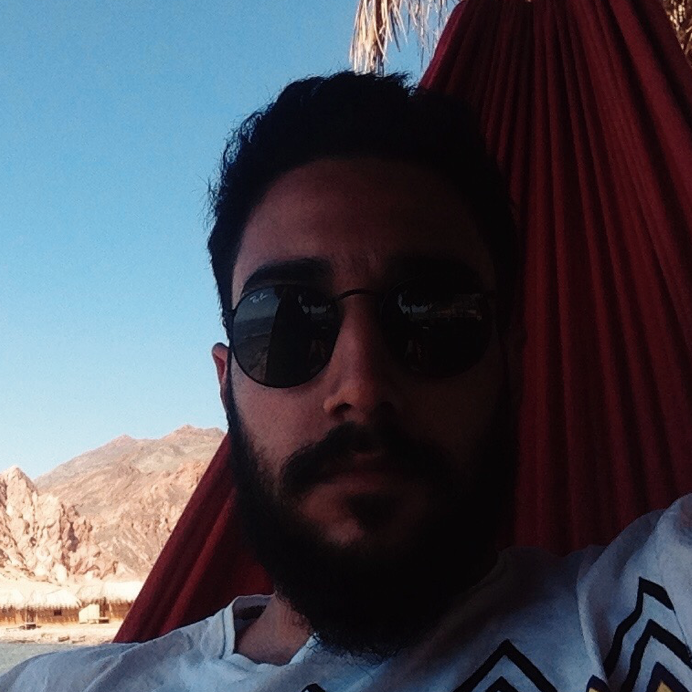 As his DJing career started taking a more permanent form over the course of several years through a constant stream of gigs, his production style started shaping up as well, and he managed to connect with platforms in and outside of Morocco to spread his music. In a completely coincidental turn of events he would be introduced to Laurent Grumel, with whom he would start Cosmo Records, an imprint that operates in a very unique discipline. ...you have to be proud of where you come from and open to drawing inspiration from the rich and diverse cultures we have in the region and beyond. Try to create your own little universe instead of just copying others foolishly. Between 2009 and 2018 the label managed to invite the likes of Masomenos, Vadim Svoboda, Argenis Brinto, Pier Bucci, San Proper, Radiq, Dandy Jack, Maayan Nidam, Philip Bader and Cesar Merveille to Morocco to produce for Cosmo. 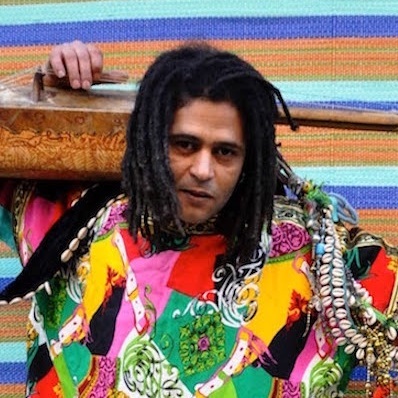 Adil and Laurent weren’t only successful in inviting a host of formidable artists to record for the label, but they are also securing equally seasoned names to remix and re-imagine their releases, including Sonja Moonear, Cab Drivers, Burnt Friedman and the infinitely venerated Ricardo Villalobos. ...we keep experimenting with new sounds and fusions and the result has to be timeless music, music that people can still listen to in 20, 50 or a 100 years from now. As a DJ, Hiani’s style is hard to pinpoint. His sets can be either house or minimal, old school funk, or even entire sets of traditional music encompassing several styles. He’s often praised as ‘eclectic,' a term that has recently become overused or falsely inflated. But Hiani’s style is truly eclectic in the sense that it doesn’t deviate from the set’s direction by just a track or two, but rather traverses through complete genres and sub-genres for the entirety of the mix. A true testament to his dynamic range would be the set he recorded for Switzerland’s Kasheme. ...eclectic or mono-style...who cares? As long as there is synergy and an exchange between the DJ and the crowd, that’s all that counts. Apart from his own music career and running the label, Adil’s been involved in several other event brands like FMR and [Alt]ernative, both of which he helped launch with different partners in 2014 and 2017 respectively. FMR (éphémère) is a party series based in Marrakech, founded by Hamza and Soufiane Hadni, and Adil joined them after he was invited for their first event. 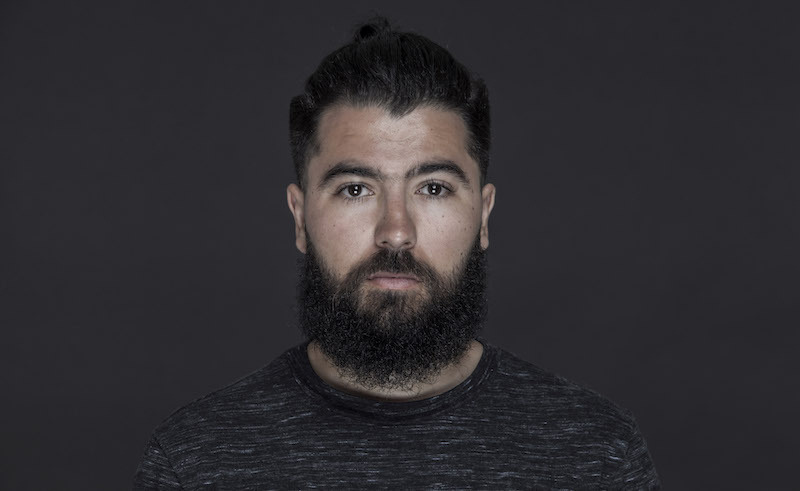 He’s currently a co-owner of FMR and fills in as an artistic director as they continue to throw limited capacity parties in Marrakech once every couple of months. The [Alt]ernative event series was conceptualized in 2017 by Adil, Nathaniel Abehsera and Floriane Cadeau in their hometown of Casablanca. So far they’ve managed to book the likes of DJ Honesty, Phil Weeks, Traumer and Lazare Hoche through solo efforts and collaborations with FMR. 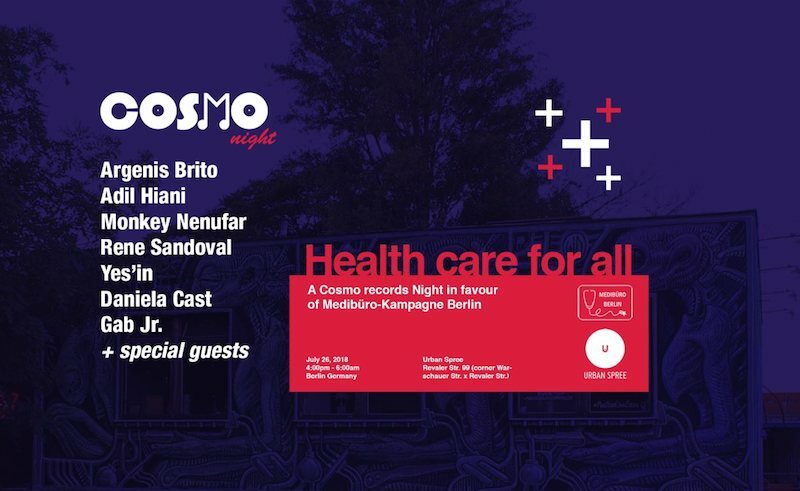 Another project Adil’s been involved with through Cosmo outside the confines of Morocco is an annual fundraising party in Germany that takes place in collaboration with Medibüro-Kampagne Berlin. The benefit happens at a Berlin venue called Urban Spree with all its proceeds going to the aforementioned organisation, with aim of providing unregistered refugees with health care that they are otherwise unable to obtain. Given the amount of touring Hiani does per year and the exposure he receives, it seems hard to fathom why he doesn’t permanently move elsewhere, where it’s easier for his DJ career and label to thrive in a more accepting, allowing environment. However, he seems very rooted in his country and tradition, even with the glaring contrast of the electronic musician lifestyle that he follows. Not wanting to bail on his country’s scene, a scene that he helped nourish himself, is something that earns him massive respect alone. I always felt like I had to come back home, be close to my family and friends. Here (Morocco) there are still so many things to do, and I can contribute something to my country. This dedication Adil shows to staying in his home and country and developing the scene as much he can has me wondering about the current state of the scene itself. We’ve seen dance music begin to boom in some countries across the Middle East but Morocco and the Maghreb countries seem to remain in the shadows when compared with the rest of the MENA region. Aside from a few major festivals happening annually, we have very little context regarding how the scene came about and where it stands at the moment. Follow Adil Hiani on Facebook, Soundcloud and Instagram. 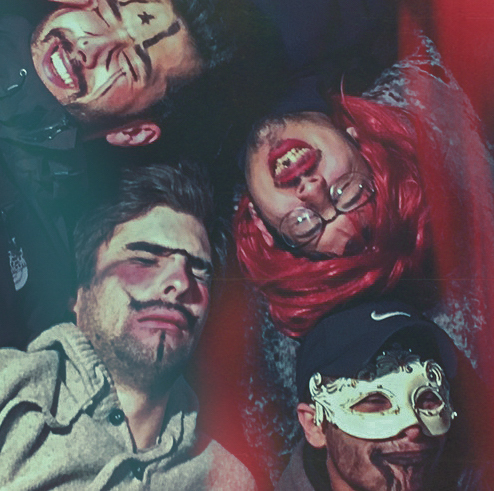 Follow Cosmo Records on Facebook, Soundcloud and Instagram.